However, without conventional journalism’s hierarchy of writers and editors, the news broken on Twitter by independent sources may lack the verification, evidence and accuracy usually associated with major news outlets. A juicy-sounding tweet can be widely republished (‘retweeted’) even if it’s wrong, such as in July 2011, when a story briefly broke that Piers Morgan had been suspended from his high- profile show on the CNN TV network in America. In this case, as in many others, more responsible or better informed Twitter users quickly reacted to debunk the story. Such unverified tweets can be misleading, but it’s potentially worse when they’re libelous or even in contempt of court – such as in May 2011, when a well-known footballer was named by many thousands of Twitter users after traditional media outlets had been barred by injunction from doing so. But while such mass action could be damaging, particularly when allegations are unfounded, it can also be constructive. Twitter has been widely used to challenge so-called ‘super-injunctions’ that bar both the reporting of an event and the injunction’s own existence, which are seen by many as a threat to press freedom and freedom of speech. Facing competition from Twitter when it comes to breaking news, conventional news outlets sometimes turn to it as a source – occasionally leading to embarrassing mistakes. In mid-2010, just after the iPhone 4 had launched to criticism about mobile signal problems, the Daily Mail published a story stating that the phone might have to be recalled. It named its source as the Twitter feed of Apple’s then chief executive, the late Steve Jobs, without apparently realizing that the account was a parody and the tweet a joke. There are many such fake or parody ‘celebrity’ accounts on Twitter, some of which can be amusing while others are scathingly critical or offensive. Many of the former tweet contemporary news in the style of famous people from history, with a good example being @DrSamuelJohnson, while others, such as @TheTommyCooper, tweet jokes or phrases attributed to someone famous. While many accounts are based on people who are now dead, there are plenty that parody living celebrities, such as @CherylKerl (a spoof of Cheryl Cole). It’s often clear when a Twitter feed doesn’t belong to a real person, and many celebrities or businesses greet parody with good humor. However, cases of mischievous third parties imitating a brand or famous person have prompted Twitter to introduce a verification scheme. Names that appear with a white tick in a blue circle next to them are the official accounts that you would expect them to be. If there’s no tick, they may not be genuine. Twitter’s early popularity among internet and media professionals might give the impression that it’s exclusive or hard to use, but in practice it’s easier than many other networks. Twitter is also remarkably open. 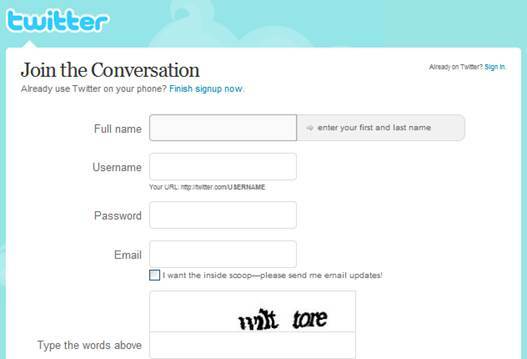 While users must sign up via the Twitter website (see the ‘Become a Twitterer’ box on the previous page), they needn’t use the service from there afterwards. 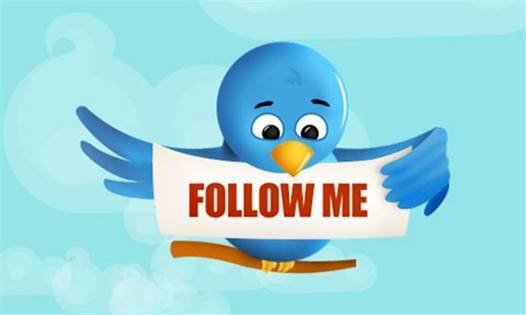 Twitter has encouraged third-party software developers and provides a ‘back-end’ through which software programs can access the service. As a result, it’s possible to choose from many free Twitter applications, which between them support most computers and mobile devices. Many are free of advertising, too. Once signed up, there’s little more to Twitter than reading and creating messages in plain English. If a user tweets “Hello world”, the message will be publicly visible on their profile page and will automatically appear in the timeline of anyone who follows them. Users can address public tweets to other users by adding @username (where username is another Twitter account-holder’s user name) – the recipient’s software will typically alert them and sort the message into a special location. Beginning a message with D username creates a private direct message that can be seen only by the addressee. It’s worth emphasizing that all tweets are public unless sent as a direct message, or unless the sender has protected their feed. There are some other special characters, too; using the # (hash) character creates a ‘hashtag’ categorizing the content of a tweet. 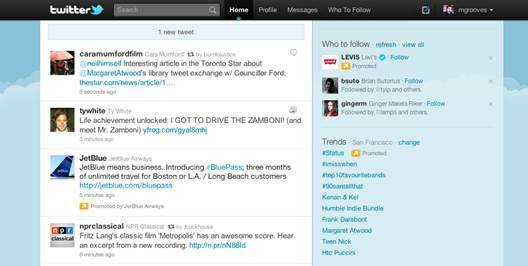 The Hashtag can be clicked to display a list of tweets from others with the same tag. A typical tweet might combine a couple of these elements, for example: @Computeractive How many IT journalists does it take to change a light bulb? #joke. By using Hashtags and addressing messages to relevant people with @, Twitter users can help their messages stand out among the constant stream of conversations. Even so, the service handles more than 50 million messages a day – following just a few active Twitter members can fill a user’s timeline with tens or even hundreds of tweets an hour. The reality is that it’s not possible to read them all and it’s best not to try. Get the most from Twitter by giving it occasional attention and catching up on any messages that are addressed to you while keeping an eye on what’s happening. Using filters can hide tweets on dull subjects. On the flip side, in some Twitter software it’s possible to save a search for a Hashtag that you find interesting, resulting in a constantly updating list of related tweets. With a fast turnover, precious little privacy and plenty of trivia, Twitter isn’t for everyone. However, it is far simpler than other social networks, making it easier to access and use. With patience and some selective listening, it’s possible to focus only on the best bits, which can be illuminating, educational or just entertaining. Perhaps most importantly, you needn’t sign up if you just want to see what the fuss is about, so there’s little to lose in taking a closer look. You may find Twitter a pointless distraction, but you may find it a source of ideas and news, or an exciting outlet for your own thoughts and opinions.